So hey, let’s celebrate the defeat. Justin even went and did the research and printed out nametags for everyone that had DNFs with their claim(s) to fame on them. It was a nice touch. 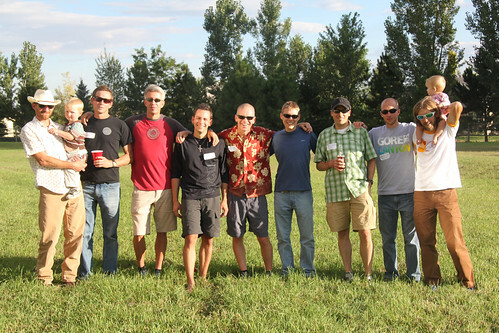 Everyone gathered at our house on great warm Colorado afternoon for some food, drink and socializing. A lot of running was talked but other topics did come up as well. Like how big the spiders are in our backyard. I am nearly done with my 30 day hiatus from running. But I will never take a hiatus from the friends I have met along the way in this journey on the run. Its been amazing and its mostly possible because of the people. Each of these guys inspire me (daily) and I am lucky to call them all friends.